The elegant gastronomic arrival at the most beautiful part of the city. Can the location of a restaurant become the source of inspiration for high culinary delights? The restaurant located on the rooftop of the design luxury hotel ATHENSWAS gives a positive answer to the specific question. 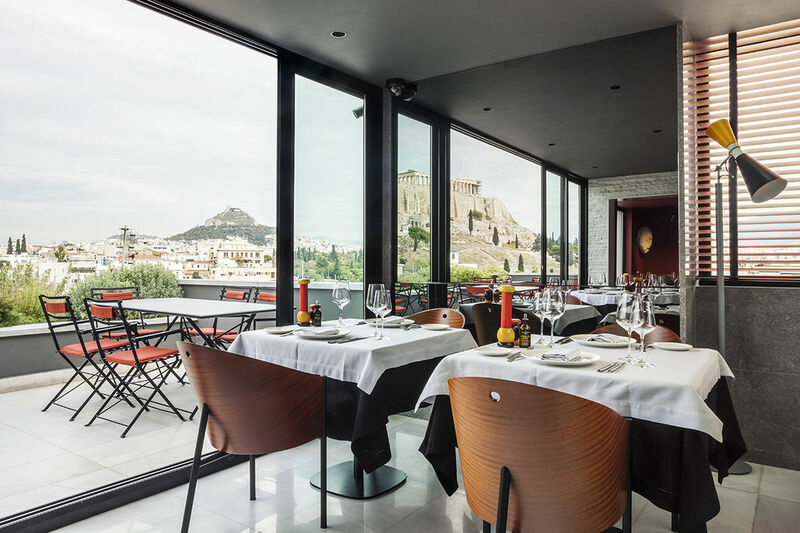 At the most enchanting part of Athens, the well-known pedestrian precinct called Dionysius the Areopagite, a new stylish restaurant, the MODERN rooftop dining, is hosted on the top floor of the hotel which has been standing out from its first months of operation and has earned rave reviews for its magnificent design, its impressive aesthetics and its discreet elegance. The MODERN rooftop dining could do nothing but follow the aesthetics and the basic philosophy of the hotel hosting it. Although it seems paradoxical at first sight, the modernist movement that provided the inspiration for its design is also what determines the quality of the menu. 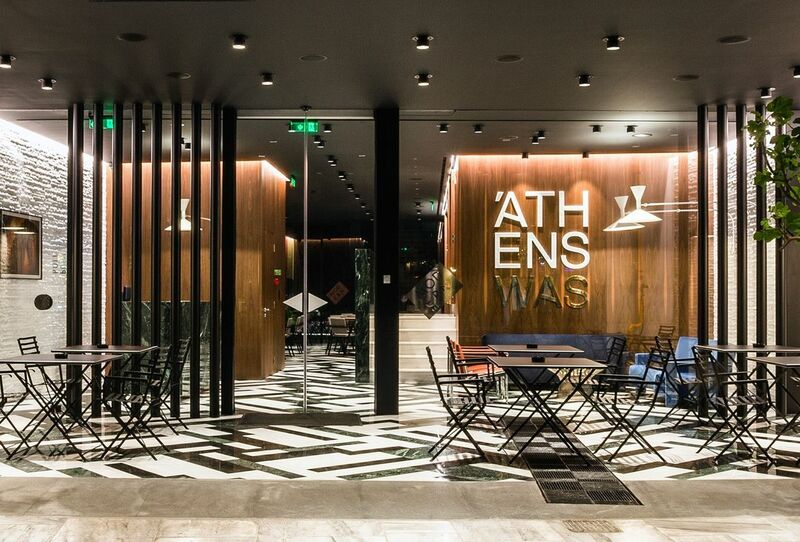 The colors, the setup of the dishes, the variety of the menu and raw materials as well as the wine labels, just follow the same aesthetic line: the emergence of a completely modern hotel, inspired by its proximity to the monumental and historical elements of the city, which at the same time fits in the modern environment and promotes the international face of Athens. 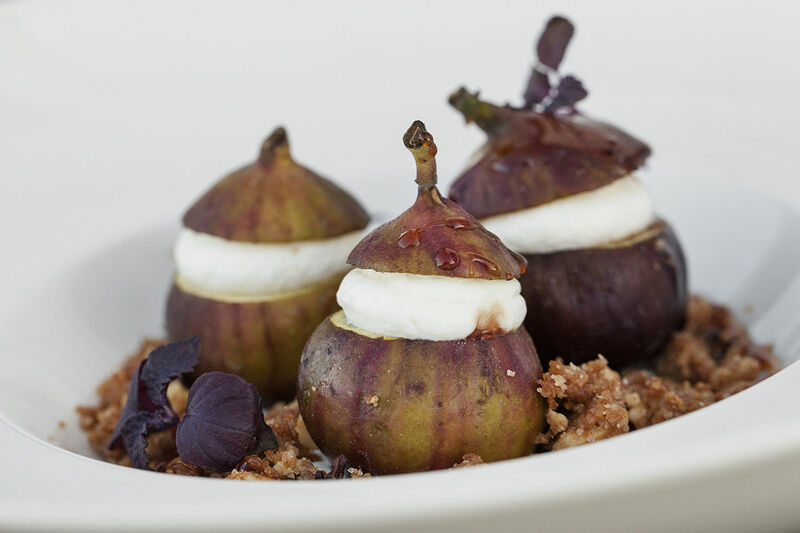 With these principles in mind, their love for good food and their spontaneous creativity, the gastronomic consultant Themis Papadopoulos and the executive chef Michael Birtsios have created a menu that meets the high demands of ATHENSWAS’ guests as well as those of all the food lovers seeking authentic, specific, clear values. 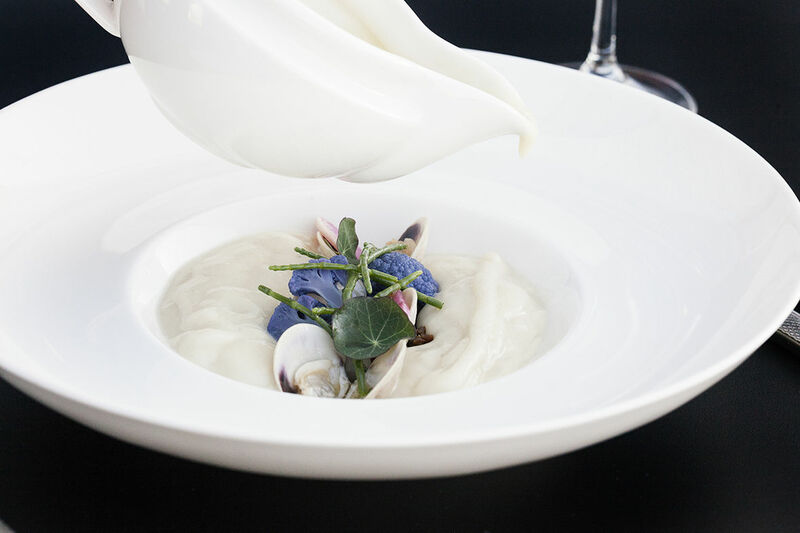 The bases and the techniques used by the chefs include elements and materials from the Greek cuisine while at the same time the profound influence of the French cuisine and the incorporated trends of the Japanese fusion are evident. 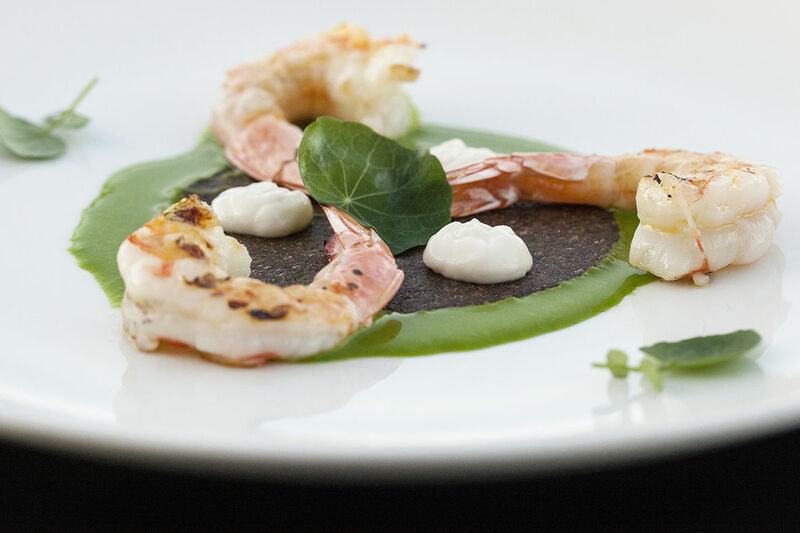 The exceptional materials, which remain intact and distinct, are highlighted through the chefs’ expertise. The unique signature cocktails served at MODERN play a cardinal role in delight and perfectly accompany the breathtaking view of the Acropolis and the Temple of Olympian Zeus. The interior of the MODERN rooftop dining is a perfect combination of wonderful simple lines and subtle colors, while the glass roof allows the unobstructed view of the sky. The MODERN rooftop dining invites us to marvel at the most spectacular view of the city, the Parthenon, while tasting exquisite delicacies and enjoying a fulfilling experience. Download the Rooftop Dinner Menu. 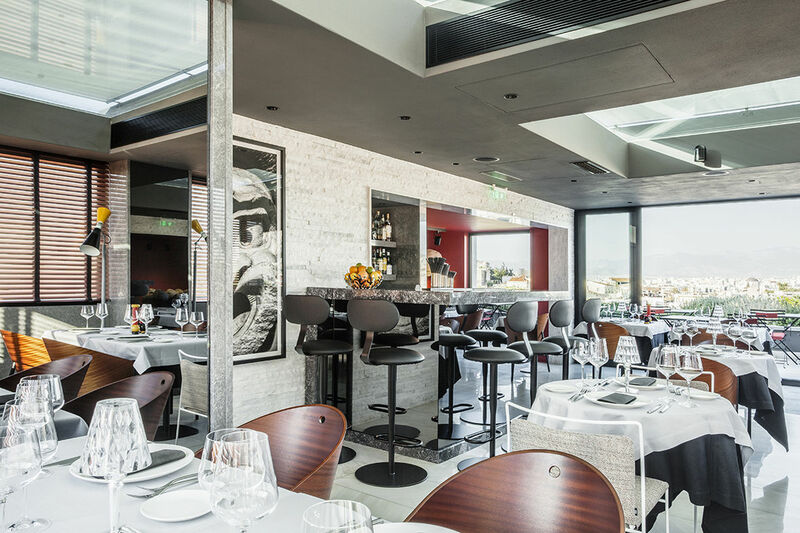 Brasserie Moderne is housed in the luxurious design hotel ATHENSWAS located in the most beautiful part of Athens, the pedestrian Dionysius Areopagite. On the hotel ground floor, in contact with the road traffic and the colorful crowd strolling around, Brasserie Moderne, inspires intimacy and warmth. The scenery is fascinating: its design furniture, colored tapestry and the patio with its climbing plants in the background provide the most stylish break during the day. 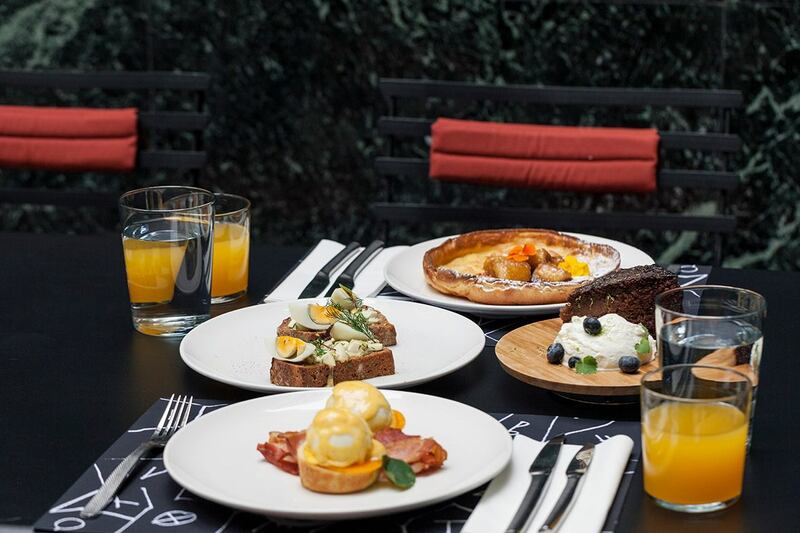 Brasserie Moderne offers breakfast daily from 7.00 until 11.00, lunch until 16:00 and brunch at the weekend, from 12 to 18.00. The list includes rich dishes and unexpected combinations, a perfect balance between salty and sweet tastes.